Improving population health may involve more than just providing the right care to patients at the right time. It’s now been determined that the place where care happens can make a difference in both controlling costs and in improving outcomes for patients. As the health care system in this country continues to evolve, particularly those services provided by Medicare, there are increasingly more ways that these types of changes can both save health care dollars and have a considerable impact on population health. How Does the Site of Care Affect Cost? The site of care can have a dramatic impact on its cost, both to the insurer and to the patient in the form of coinsurance charges. For example, a test that is performed in a hospital setting as opposed to a physician’s office can be up to two and a half times more expensive. The Medicare Payment Advisory Commission (MedPAC) identified 66 outpatient services for which reimbursement rates can either be standardized between hospitals and physician’s offices or the differences in payments markedly reduced. By equalizing payment between freestanding physician’s offices and hospital outpatient departments (HOPDs), the Commission estimates that Medicare could save nearly $900 million in just one year. Site of care cost reimbursement has already been addressed by policymakers. Section 603 of the Bipartisan Budget Act, signed into law in November 2015, changes payment guidelines for some HOPDs. Beginning in 2017, treatment at new off-campus HOPD centers will be reimbursed under the Physician Fee Schedule Rules. Existing HOPD centers will not be subject to these guides. Regardless, there is also evidence that the site of care impacts population health. An emerging goal of many health care providers, including Medicare, is to move patients away from hospital care as soon as possible. Now that there are more “hospital at home” programs, this is becoming increasingly more prevalent ns several progressive countries such as Canada, Great Britain, and Israel. Not only is home care less expensive than hospital care, but it has been found to be more effective with many conditions. While Medicare has been slow to follow suit, the Federal government did increase funding for physician house calls to about 50%. 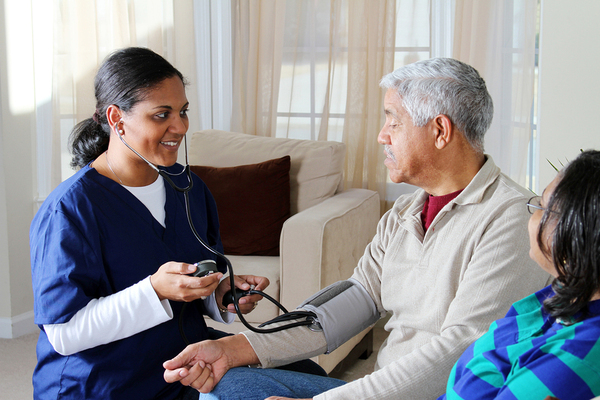 Beyond this, Medicare Part B pays 100% of the cost of home health care services from a certified home health agency. Many of these services allow the patient to get the level of care that they need in their own home and permit the provider to interact with patients in comfortable surroundings. The site of care can improve patient outcomes and population health. Under the Chronic Care Management (CCM) services program, qualified Medicare patients are provided with monthly 1-on-1 care coordination services with the goal of improving patient outcomes. As many patients with multiple chronic conditions require frequent tests, hospitalization, and other services, a care coordinator can help identify opportunities to help both providers and patients to improve population health. Whether it is the site of care, a medication management issue, or hospitalization coordination, a care coordinator can provide an additional layer of assistance to these valued patients. The CCM program requires no additional overhead from providers and can improve bottom lines. Contact us to find out how we can help improve your patient outcomes with our services and to request a free consultation.